PPR is a large scale French distributor of luxury products, with most of its business serving Europe and the Americas. More than three quarters of its sales are under the brand names Conforma, FNAC (cultural and technological products), Redcats (online fashion and home furnishings retailer), Sport & Lifestyle (Puma, Volcom and Electrics brands) and Gucci. PPR reduced their dividend in the 2009 global economic slowdown but are projected to increase and surpass their ealier dividend payouts by 2014. PPR pay just one dividend per year in May. 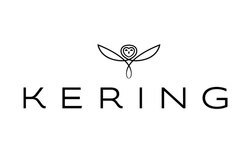 At the Combined General Meeting on June 18, 2013, Kering* will propose to distribute to its shareholders, as a payment in full of dividends in respect of 2012 (an interim dividend of €1.50 having been paid on January 24, 2013) a supplementary cash dividend of €2.25 and a dividend in the form of Groupe Fnac shares in the ratio of 1 Groupe Fnac share for every 8 Kering shares held.